The five contenders for Canada Reads 2019, in order in which I read them (or didn’t). The theme: One Book to Move You. I’m happy that Brother is a part of Canada Reads this year. I read this book when it was longlisted for the 2017 Giller Prize. A powerful book about two brothers growing up in a suburb of Toronto in the 1980s; the children of hard-working immigrants living “quietly heroic lives”, their encounters with racism, tragedy, and grief. You can read my review here. Another book I’m happy to see make it to Canada Reads. Like Brother, there’s so much to discuss here. Abu Bakr had a happy childhood – going to school, playing soccer and video games with his friends and cousins – until war broke out on the streets around him. He and his family (parents and six siblings) eventually immigrated to Canada in search of safety and a secure future. But coming to Canada wasn’t easy – there were many obstacles to their happiness. 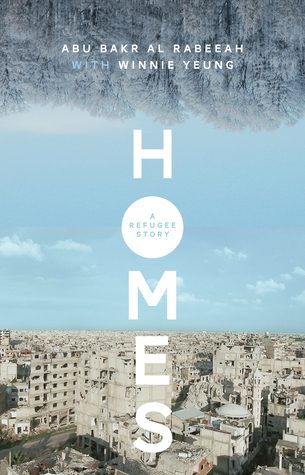 This book gave me huge insights into life as a refugee. You can read my review here. Every time I read a Holocaust memoir, it saddens and amazes me more than the one before. Written in a candid, uncomplicated style, Max Eisen‘s story is truly remarkable. Not only because of the horrors that he lived through in the camps, but also the loss of his entire family, his home, his culture and dignity. And he still persevered; through illness and isolation, prison and grief, he made it through to the other side and lived to marry, have children, grandchildren, and great grandchildren. Fulfilling his father’s last wish, to “tell the world what happened here”, he travels the country telling others about his story and how grateful he his for all the kind people who helped him along the way. As I was reading, I realized that he was exactly the same age, while at Auschwitz, that my son is now – fifteen/sixteen. So I started to tell my son about his story until he put his fingers in his ears and told me to stop because it was too sad. Just look at that sweet, smiling boy on the cover of the book. 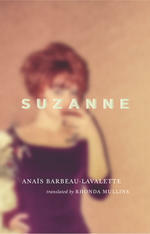 Suzanne is the imagined life of the author’s grandmother who left her daughter (the author’s mother) at a young age. Anais Barbeau-Lavalette hated her grandmother until, upon her death, she and her mother went to her apartment to go through her belongings. That’s when she started to get to know her grandmother as a person with a life, rather than just the woman who abandoned her mother. We set out into the winter to meet you. Through the storm. Archaeologists of a murky life. Who were you? Written in second person, her novel tells the story of Suzanne’s life from beginning to end. There was a rebellious side to her even as a child. Once she was given the opportunity to go away to school, she didn’t ever look back. She didn’t see her mother again until her funeral. But no matter where Suzanne was or who she was with, she never felt like she belonged. You absorb the lives of others and don’t know how to build your own. Although I couldn’t relate to Suzanne and her decision to leave her children, I found her to be a sympathetic character – not unlikable – just different. Maybe different from many of us. She dared to be herself, although I’m not convinced it ever made her happy. Suzanne taught me some Quebec history: Hilda Strike, “les Automatistes” and the “Refus global“, as well as a handful of French-Canadian artists, including Marcel Barbeau, the author’s grandfather. Beautiful, poetic writing that quietly draws you along. This is the one book I haven’t read yet, although it is ready for me to pick up at the library as I write this so I may get it read in time for the debates. There are quite a few reviews on Goodreads that warn of the dark content making this book hard to read. This one even speculates that reading it is making her grumpy. In this interview with Joe Zee, Lindsay Wong talks about her willingness to lay everything out on table – holding nothing back -and how her family has reacted to her book in which all their dirty laundry is aired. The Canada Reads debates take place March 25 – 28. I will update this post at the end of each day as each book is eliminated. Day 1: The Woo-Woo was voted off. No great surprise, but kind of disappointing. Day 2: Today we said good bye to Suzanne, after a heroic effort from the defender. Day 3: It was sad to see Brother go today – I love it so much. But Homes and By Chance Alone are also strong contenders. My fingers are crossed for a small publisher win this year! Day 4: It was a shocker of an ending, for me. I thought Homes was going to win – but as Buried in Print says in her Canada Reads post, “Quite literally, books changed minds.” And that’s a good thing. 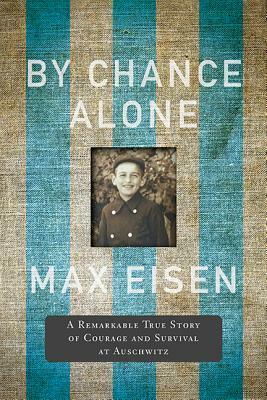 The winner is By Chance Alone by Max Eisen! I’d like to respectfully disagree, if I may. The Western world is a world of immigrants these days, and their stories are anything but monotone. Not only that but there is IMHO a real need for fiction that brings us these stories as a counterbalance to the negative and/or homogenising portrayals of immigrants in the media. Definitely, Lisa! And all three of the books are so vastly different from each other. Always happy to disagree! 😀 I agree it’s an important subject, but it’s not the only important subject – I’d have liked to see something about climate change, maybe, or the rise of fascism across the democratic world, or even just a good old rip-roaring adventure yarn! The books are actually so different from each other, I hadn’t even really noticed that three of them are also about the immigrant experience! Thanks for pointing that out! I wonder if it’ll come up in the debates as too “same-y”. But the books themselves are SO different, and about things other than just immigration. There are a lot of books about the immigration experience in CanLit, which makes sense when you think about how Canada became Canada! I had such grand plans to read all of these this year and managed one. I’m honestly shocked that the debates are starting on Monday – I felt like I still had ages. Your post is making me want to run out and read the rest of them ASAP. I had both The Woo-Woo and Wait for Me, Jack come in to the library yesterday, and now I have to decide if I should cram in The Woo-Woo first before tomorrow, or skip it and get right to our LW book! Cold season was so bad this year. Sorry you got hit with one! There’s nothing worse than being so sick you can’t even be bothered to read. 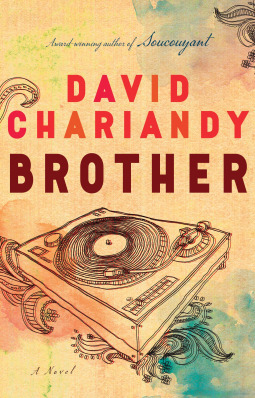 PS David Chariandy is going to be attending the Auckland Writers Festival in New Zealand and I am nipping across the Tasman from Australia for the festival so I have tickets to hear him talk about this book! That’s awesome! Have a great time!! This is such and interesting idea. I wish some one would take it up in the UK. I have you to thank for leading me to Brother, Naomi. “Quietly heroic lives” indeed. It’s probably only a matter of time. Recently I’ve noticed that some of the provinces are even hosting their own versions of Canada Reads. Newfoundland did it this year, and Quebec has been doing it for a while, I think. I remember being interested in Brother when you talked about it previously – plus I’m a sucker for anything set in the 80s. Suzanne sounds interesting too even though her actions are hard to fathom. Both books are very well crafted, but also so different from each other. I think you’d like them both! Given this year’s theme, I wouldn’t be surprised if Brother won. I’d be interested to read the two nominated memoirs and the novelized biography. I’ll be interested to see what happens! Brother is definitely a strong contender. I think I’d be okay with any of the books winning, but I think I have a soft spot for Homes. Well, I just started WooWoo and can’t put it down. You’ve always got great recommendations, Naomi! That great news! I started it yesterday, and so far haven’t found it hard to read at all. In fact, I’m liking it a lot! Gosh, I’ve actually read one of these, Suzanne. My sister-in-law, who is French-Canadian, sent it to me. I didn’t like the character of Suzanne but thought it was a really interesting novel. I know what you mean about the character of Suzanne, but it’s a beautifully written story. What a good idea for the bookstore – I hope they get an audience! I know! It was a small audience yesterday but I’m hoping it will grow. Let’s keep our fingers crossed for Homes!!! Let me know if the audience has grown! That’s awesome, Kay! I love Roughing it in the Bush. I’ve also read her sister’s book The Backwoods of Canada. I think I’ll be reading at least one of those in the future. These all sound so interesting. Of course, I read and loved Brother so I’m pulling for it! It’s a good choice even if you’d read them all! It’s a great selection this year! These sound like really interesting books and a very varied selection of experiences. I’m really enjoying the tone of the debates this year and I just managed to squeeze in the fifth book on Sunday night, before they began on Monday morning, so I appreciate feeling like I know the content of all five stories while they’re discussing them throughout the week. Perhaps this is something that we are inherently aware of in Canada, given how much of our population is from “elsewhere” (ahem, all of it, other than indigenous peoples) but while I can see how others might feel like there are three books about immigration on the list, really these are three books about family and about navigating life’s challenges. The fact that Lindsay Wong and Abu Bakr Al Rabeeah and David Chariandy had parents born elsewhere is important in their stories, the first two being memoirs and the other fiction which draws on his personal experiences and observations, but there are many other important themes in these books too (mental illness, queer identity, grief, underemployment, injustice, the struggle for artistic expression etc.). Only Homes examines the process of relocation and migration, and it is really more about the process of emigrating, more about the difficulty of leaving a beloved but war-torn country behind. But I do take lament the absence of climate change from the debates. It’s not a topic that is typically received well in this event. Last year two of the books touched on the theme (one directly and the other indirectly) but neither of them was selected in the end. And in at least one year, the climate change book was the first to be eliminated! That’s right about the climate change books! I wonder if writing about climate change doesn’t lend itself as well to emotional connection with a book as a story about family and loss and forgiveness, etc… They tend to be more sci-fi or speculative fiction or non-fiction. American War was pretty emotional for me – but that one did come in second! I was sad when Year of the Flood was voted off so quickly. Or maybe it’s just too much of a connection? That it frightens readers even more than some of the other issues? Like, you can tell yourself your family isn’t coping with mental illness like Lindsay Wong’s family is, so it’s not really that bad. Or you can say that your economic situation is not as precarious as the family’s situation in Brother. But you can’t say “at least my planet is not as bad as your planet”? Great overview! 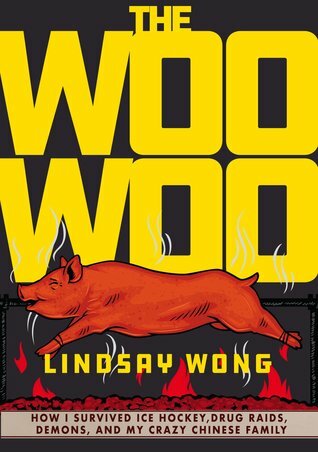 I loved Brother and am waiting for a library copy of Woo-Woo. The conversation around Suzanne is fascinating too, I think. I can’t imagine walking away from my children but when you think about it in the context of the time and how limited options were for so many women, it becomes more nuanced. Yanic did such a good job defending Suzanne, didn’t he? He really made me think about it in a whole new way!